There is a well-know saying in the world that, “blood is thicker than water ..” There are certain special ties that are much stronger than many other relationships. How quickly we rush to aid a sibling or other family member when sling-shots fly. How much more protective we are of our own kith and kin when push comes to shove – but if this is the case in Adam’s fallen race – how much more in the family of God. This was the heart-cry of our Lord – as He prepared to return to His heavenly home. Holy Father, keep through Your own name those whom Thou hast given Me that they may be one, as We are – that they will be united just as We are. 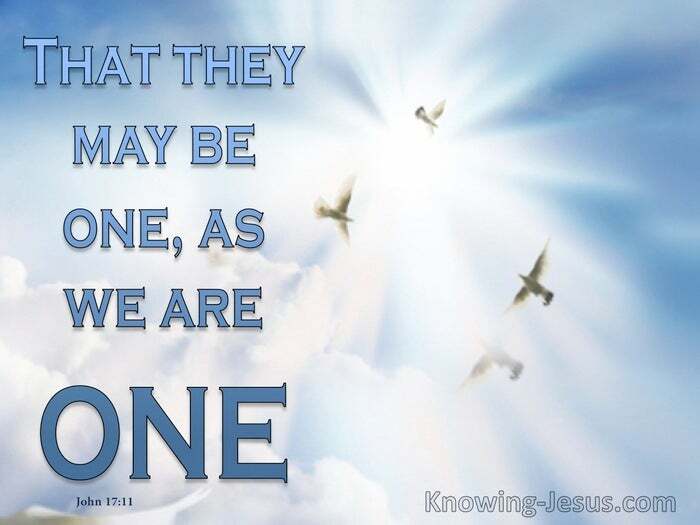 John 17:11 If this was the inner yearning of our Lord – that they may be one – what about us? 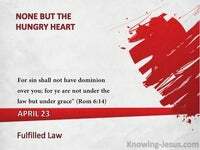 Should it not be our own heart-hunger – that the body of Christ be united as one? If this was Christ’s prayer to the Father – should this be our earnest prayer as well? Oh I do not mean the ecumenical agenda that touts that all religions lead to God. Nor do I mean uniting with false teachers or those that spout doctrine of demons. I do not mean uniting to defend a political agenda or those that deny Christ’s deity, but we should recognise the relationships we have with all that are born from above. We should love and protect all those that are brothers and sisters in Christ Jesus. As members of Christ’s body we are joined to the Head and united together in Him. We are the workmanship of the Spirit – created in Christ to do good works thru Him. 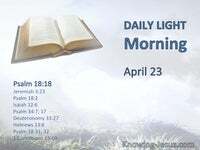 We are citizens of heaven; ambassadors of God and Christ’s representatives on earth – is it not our responsibility as His children to live in unity and godly conduct – in Him? Collectively we are one-new man in Christ – a unique creation – a peculiar people. He makes the whole body fit together perfectly – each part with its own special use. Together we help the other parts grow, and edify the saints of God – that are His – so that the whole body is healthy, maturing in grace – and growing in His love. 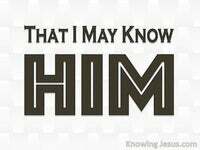 We are the household of God; the habitation of the Spirit; the dwelling-place of Christ. Our body is the temple of His indwelling Spirit but together we have become His home. We are children of God and fellow-heirs with the beloved Son of His excellent love. We are His soldiers and servants – His brothers and children – His bride and His wife. There is much in the body of Christ that falls far short of Christ’s prayer. Self-righteous attitudes that criticise or accuse instead of godly comfort and correction. Inflated egos that exchanged Christ garments of humility and grace – with hypocrisy. ‘Holier-than-thou’ attitudes that fail to be broken – at the foot of Christ’s Cross. But we have within us the means to live as Christ lived – and to dwell in unity of spirit. We have the indwelling Spirit of wisdom and grace – the Spirit of power and love. We have the fruitful Spirit of goodness and grace – of truth, of power and of UNITY. 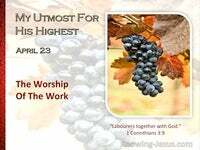 That bond of unity for which Christ prayed so earnestly should be our dear desire. 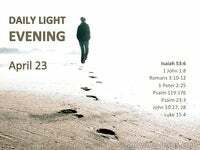 Should we not examine our hearts in humility – to see if we are living His life in us? Should we not test our inner soul – to see of we honour others above ourselves? 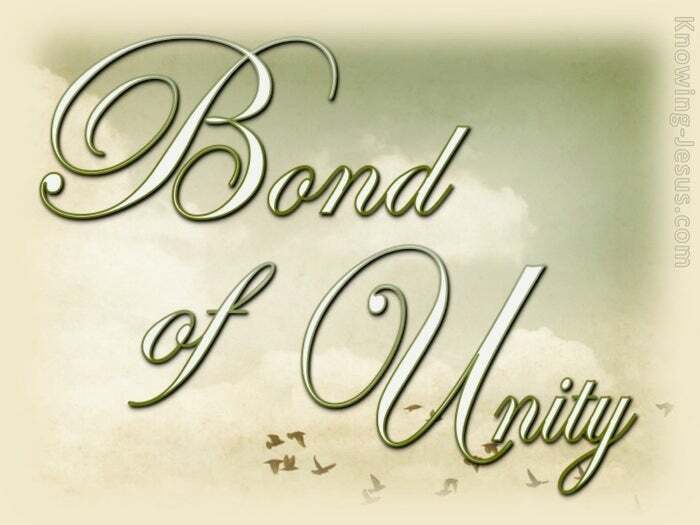 Should we not prayerfully seek to remain in unity of the Spirit in the bond of peace?